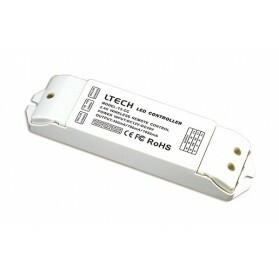 This receiver works with Radio Frequency and can be used with LED Remote RF Touch 3 (item 22552), LED Remote RF Touch 3M (item 22553) and LED Remote RF Touch 3X (item 22557). 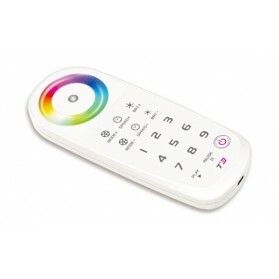 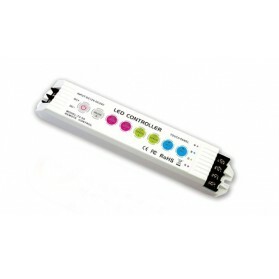 The receiver has touch buttons which enables you to control the strips through the receiver as well. 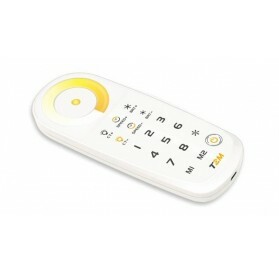 This Radio Frequency receiver is suitable for all RF remotes from the T-series with exemption of the T4 remote. 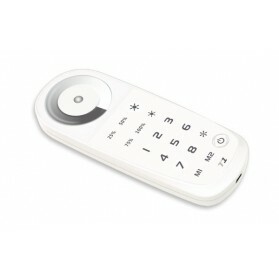 This wireless receiver works with 2.4G radio frequency and can be used with T1, T2, T2M, T3, and T3M T3X remote controls. 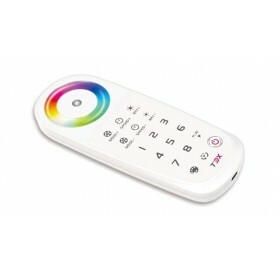 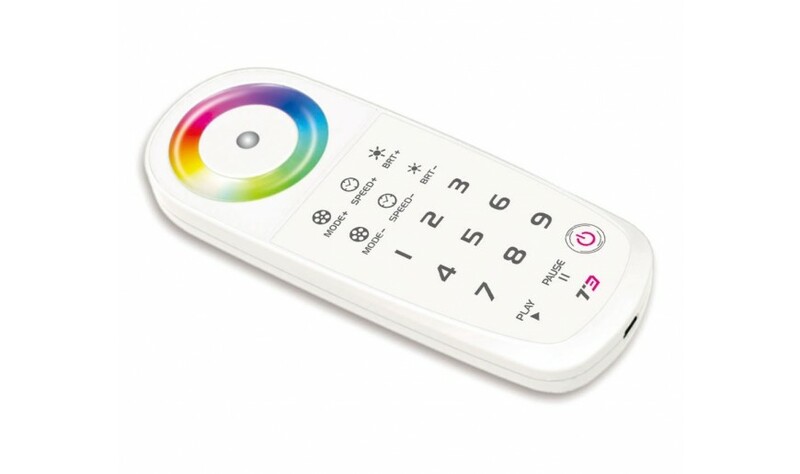 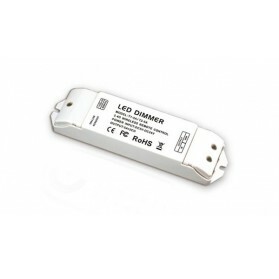 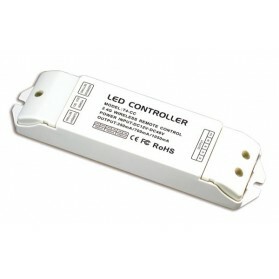 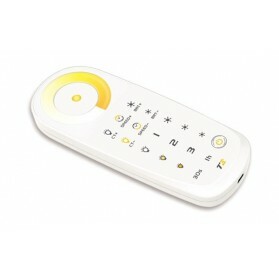 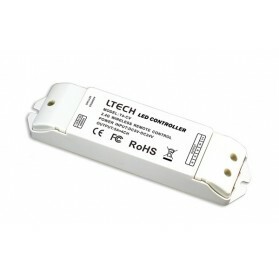 This receiver works with radio frequency 2.4GHz and is compatible with the LED RF Remote Touch 4 (item 22562).